Following on from the Dunu DN2000 review last year Dunu are back with a new product featuring a whopping big 13mm driver all metal housing and the usual Dunu flair. Recently, Dunu have been one of the most active companies in the audiophile world by pushing ahead with cutting edge multi driver hybrids. 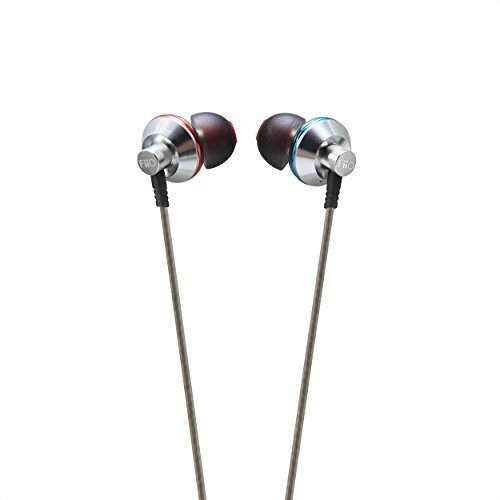 However, the company is also catering to purists (the company has an audiophile earbud to take on Yuin's PK series). Dunu make some top end sound, thats a given, but it also comes at a low price and with the new Dunu Titan being available for around $120 thats a very tempting proposition. The Dunu Titan's design is a mix between that of an in-ear model and and earbud which means that it does not fully seal in the ear instead sitting supported by the tragus and anti tragus. The Dunu Titan are designed to be worn with the cable down, a traditional design popular with many Japanese companies in the mid noughties. The earbuds are incredibly well made with the housing made completely from metal which makes for a cool looking and nearly indestructible design. Each housing on the Dunu Titan comes with a coloured metal ring around it in order to better differentiate the left and right as well as having R + L designations inscribed on the shell. They are a great looking take on an old classic, you can see that the Dunu team took a look at the traditional design and set about making something better. Upon picking up these shiny little earphones you notice they are incredibly lightweight which, given the construction material and whopping big 13mm driver inside, was quite a surprise. I like this though, as the lighter the earphones, the less prone the units will be to removing themselves from your ears when moving around. The cable is lovely and well thought out. The bottom half is cord wrapped which reduces tangle and the top half past the splitter has a soft rubber coating eliminating the micro-phonics creating a best of both world combination. The splitter and cable cinch on the Titan are of typically excellent Dunu quality and again made of metal (are you getting the Titan theme?). A right angle jack is used on the Dunu Titan and once again it is metal clad but also bares the units serial number. I was incredibly impressed with both the build and styling during the Dunu Titan Review however, I would still like to see the company use a longer strain relief as added protection. Dunu at this point cannot seem to make a bad sounding earphone! Its clear that the company take a lot of pride in the tuning process to get the type of sound they envision. I have been in contact with the team in the past and they have told me about delays on certain products due to them wanting to get it right. They don't want to rush something out that doesn't meet their standard. Take from it what you will but what that tells me is that Dunu are focussed on getting a reputation through performance of their earphones rather than the just piling on the marketing BS that unfortunately plagues this industry. Ok enough of that... How does it sound? Pretty Damn good! The sound is rather unique in that it excels in both the treble and the bass departments, something that is not exactly the norm in a single driver unit. The detail level in the upper mids and treble is reminiscent of the old Hifiman RE0 or a fuller sounding brainwave m3 earphone an audiophile earphone favourite, which would have alone sufficed to make the Dunu Titan a good earphone but then you notice that the lows are also wonderfully tight, resolved and detailed. Not offering so much in decay or overabundance of sub bass but a punch certainly makes you feel its presence. JPop/Rock worked exceptionally well with the Titan and it was standout with detailed electronic music like Blackmill and Infected Mushroom but those seeking a more fuller sound with a more fun presentations should look at the DN2000 & 1000. I know people often use the term "hits outside the price range" and "the next big thing" well I'll address both those points. Do I think the Dunu Titan represents good sound quality relative to price? Absolutely, it manages to produce quality sound that extends right across the frequency. The Titan resolves a tons of detail but is it the next big thing? Probably not, at least in the mainstream. The Dunu Titan most likely going to stay within our little audio niche and scratch an itch of fans of the old Audio Technika design. Fans of mainstream asian music will be who see the most benefit from the Dunu Titan its near perfect for that genre and as a budget in ear option and given the stellar build and great accessories its great value. What I can take away most from the Dunu Titan Review is that the company is building an arsenal of amazing earphones. The DN-2000 and DN-1000 for traditional IEM's, Dunu Alpha's for Earbud lovers and now the Titan for those seeking something in between.